Playing with planes -HR13 arises from an idea of a paper folding. 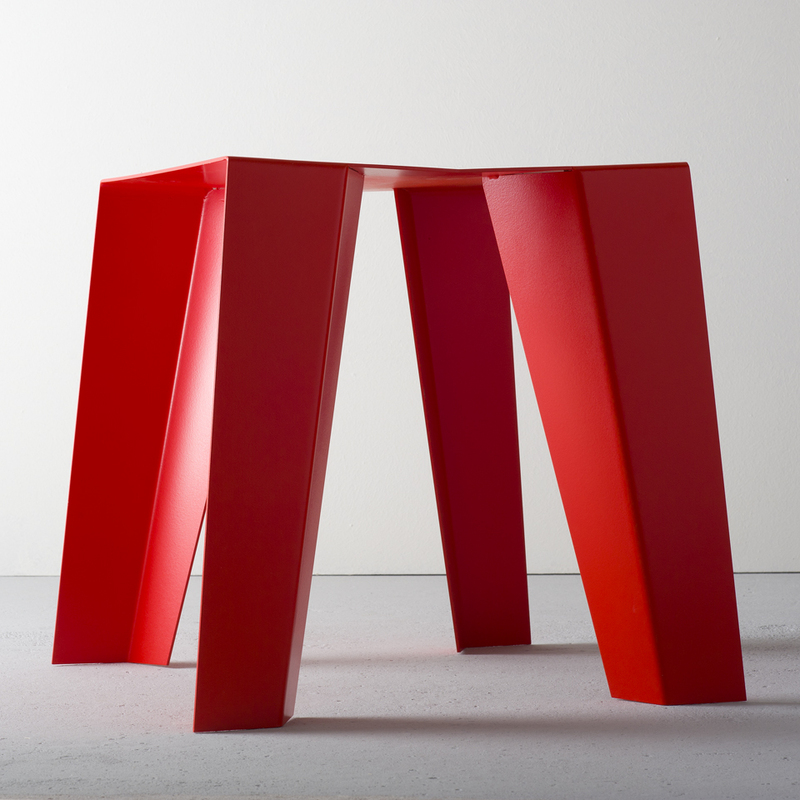 A single orthogonal sheet of aluminium or steel is cut and folded so that a stable seating furniture is formed. HR 13 plays with the contrast between line and plane. It is simultaneously a piece of seating furniture and a sculptur. Different elevations and angels of views reinforces the architectural concept. Stool HR13 is made out of one 3 mm steel- or aluminium-sheet. HR13 is powder-coated in 3 different colors.